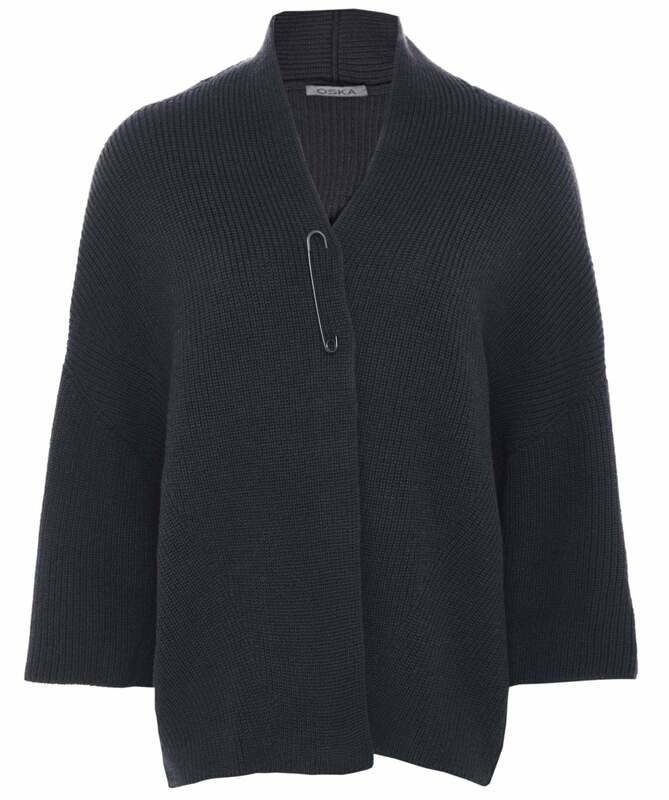 Stay cosy in style this season with the Oska Nilas cardigan. Expertly crafted from pure virgin wool for a super soft handle and superior comfort, this snug-feel knit is the perfect layering piece. Fastened with a unique oversized safety pin brooch and featuring batwing style sleeves, a multi-directional knit and a curved hem, this on-trend cardigan is sure to make a statement however you wear it.